There are, I believe, three schools of enneagram interpretation. 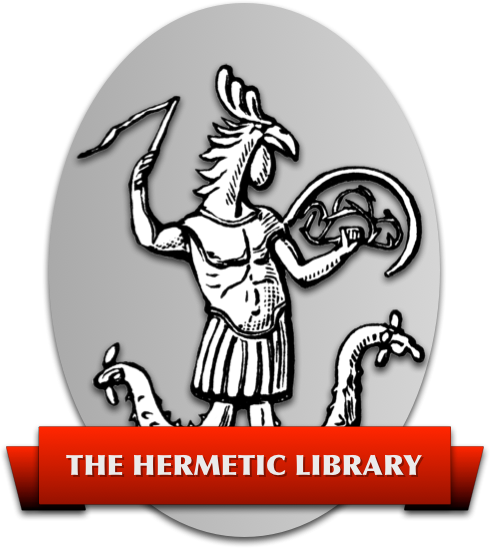 The original school most likely had its origin in the teachings of G. I. Gurdjieff, and was propagated through the writings of his students, including P. D. Ouspensky, Maurice Nicoll, and J. G. Bennett. Bennett's Enneagram Studies (1983, Weiser) is the foremost introduction to the original set of interpretations, but it is a challenging system at best. It could be described as a way of recognizing the characteristics underlying all processes. The second school is the most obscure. It is Rodney Collin's doctrine of planetary body types, as described in his book, The Theory of Celestial Influence (1954, Stuart, reprinted: 1997, Penguin). This is a system of body types and personalities attributed to the seven planets, and whose interrelations are described by the enneagram. Curiously, this doctrine also shows up in its entirety in the teachings of the Michael channelers. Almost all contemporary discussion of the enneagram belongs to the third school. This tradition, which uses the enneagram chiefly as a map of categories, derives from the teachings of Oscar Ichazo and his Arica school. One portion of these teachings, the Enneagram of Fixations (or Ego-types), has been popularized and sometimes distorted through the publication of a growing number of self-help “Personality Types” books, often without any acknowledgment of Ichazo at all. One thing that is not given enough emphasis, in my opinion, is the distinction between what I'm calling the first and third schools. (The second school is minor enough that it only rarely comes into discussion.) The only thing that they have in common is the nine-pointed figure itself; the use of the figure by the two schools couldn't be more distinct. While they may both be profound, aspects of the third school's interpretations can be communicated quite readily, whereas the first school's is practically impenetrable without enormous commitment. Naturally, the third school is what has spread. On another note: while all three schools tend to agree that the enneagram is ancient knowledge, I've seen no convincing evidence that the figure as we know it today predates Gurdjieff. There are many parallels between the third school's use of the enneagram and the nine-fold "first figure" of the Lullian Art, for instance, which deserve further study. But, to my knowledge, no ancient sources describing the modern enneagram's inner 1-4-2-8-5-7 glyph have ever been made public. With that in mind, I'd like to take a stab at describing a third school enneagram in Thelemic terms. But in attempting to bridge the worlds of the enneagram and Thelema, there's a cultural difference that needs to be addressed. Within the Thelemic tradition, tinkering with systems and their attributions is allowed – even encouraged, as this is the way that practitioners make a system their own. On the other hand, many, if not all, of the enneagram traditions frown on tinkering of any kind. Often, attributions are only to be made by individuals who are held to possess a total mastery of the system. But I intend this to be an exercise in Thelemic tinkering, and not at all to be a claim of enneagramatic mastery. Alternative attributions are invited. It would be entirely beyond my abilities to provide a full introduction to the meanings of the third school's interpretation. But to provide some guidance for those unfamiliar with the enneagram, I present my proposals for Thelemic Egyptian god-forms along the nine points, together with Ichazo's definitions of the Nine Holy Ideas and their corresponding Virtues, from John C. Lilly and Joseph E. Hart's article “The Arica Training,” in Charles Tart's anthology Transpersonal Psychologies, 19771. Holy Truth: The awareness that the cosmos objectively exists now; that this existence is its own definition, and continues whether an individual understands it or not; and that the individual experiences the truth of Reality most completely when he views each moment fresh, without preconceptions about what should be happening. Holy Wisdom: The awareness that Reality exists as a succession of moments, each experienced as 'the present,' and that it is only by existing in the present that the constant unfolding of the Cosmos can be experienced. Only by working in the present can real work be done and real results achieved. Holy Strength (also called Holy Faith): The awareness that the Cosmos is a self-regulating mechanism, existing in a state of balance, and as long as the objective laws which govern this balance are respected, an individual can exist in a state of harmony with Reality, moving toward his own personal fulfillment. Faith is a Holy Idea, not a belief. It is the certitude that each of us has an Essence and that this Essence coming from God, belongs to God. Holy Omniscience: The awareness that because every individual is intimately connected with the entire cosmos by the operation of objective laws within their own bodies, there is no separateness or alienation except as a mental hallucination. Because the cosmic laws govern every aspect of ourselves, there is no possibility of hiding from the Cosmos, or avoiding the results of natural processes. When we understand this, we are completely at peace with our past. Holy Origin: The awareness that all individuals are born as the result of natural, objective laws; that these laws continue to operate within them throughout their lives. Because all the laws are interconnected, each individual always has an intimate physical connection with the Totality of Reality – the Cosmos. From this springs true originality. Holy Harmony: The awareness that there are no exceptions to the natural laws which govern the Cosmos, and that these laws are completely objective, operating as an interconnected unity. The highest law is the totality of Reality itself. Certitude in the objectivity and total applicability of those laws is true hope. Holy Will (also called Holy Freedom): The awareness that Reality, moving with direction and according to fixed natural laws, flows with a certain force. The easiest way to deal with this force is to move with it. This is true freedom. Holy Perfection: The awareness that Reality is a process, moving with direction and purpose. Within this movement each moment is connected by the process with the one goal, and thus is perfect. Holy Love: The awareness that though the laws which govern reality are objective, they are not cold, because these cosmic laws inevitably lead to the creation of organic life, and Life itself, like all natural phenomena, fulfills a cosmic purpose. As soon as the mind's word mechanism is destroyed, love, the natural condition of the mind, appears. Love begins the moment man contemplates the Creation and says, “Thank you, God.” All men feel this somewhat, no animal can feel this at all. Man alone can know that all comes from God. Bookmark this page on these social networksI highly recommend this book, not only for the Arica material, but also its introduction to the Fourth Way, as well as Tart's own important contributions. These schools are all offshoots of the Hindu system of the three Gunas and the nine holy paths, of course. Much has been written on the subject in Crowley's Temple of Solomon the King, and in other sources, that I find the breaking up and conflicting confrontations of distorting the Egyptian Principles into virtuous awareness to grace the absurd. Such only goes to show that you must not adulterate system with makeshift dreaming. As the religion of Egypt evolved, various gods gained importance. The falcon-headed god depicted on this coffin fragment is identified as Re-Horakhty-Atum, the god central in creation myths. Re, the sun god, had several aspects: Khepri, the morning; Horakhty, the midday; and Atum, the afternoon. During Dynasty XXI (ca. 1070-945 B.C.) with increasing frequency he replaced Osiris in the traditional offering formula. I find this all fascinating. I thought I should mention that since all you seem to be hearing in sniping (for your detractor, Thelema utilizes Egyption deities in AL & the other Class 'A' so to claim them non-Thelemic is, well, dumb – as dumb as saying that a reference to Christ or Satan renders a work non-Thelemic – finally, Hadit is Arabic, not Egyptian). So, what I want to know is how do I get the background to comprehend what you are saying? I have played around with some of the online self-help, personality profile enneagram stuff, but I do not understand the underlying premise. It hit a mini explosion in popularity a while ago, so I shied away & cannot determine which books are crap & which worthwhile. In keeping with this enneagram's “sketch” status, I've changed my mind, and transposed the positions of Isis and Hadit from my original version. Once the possibility occurred to me, it made immediate sense, and the attributions really started resonating. The one thing that threw me off at first was the association of “Humility” for Hadit. But upon reflection, I believe that here humility means having the perspective that one is part of a greater whole, and this is the essence of Hadit.